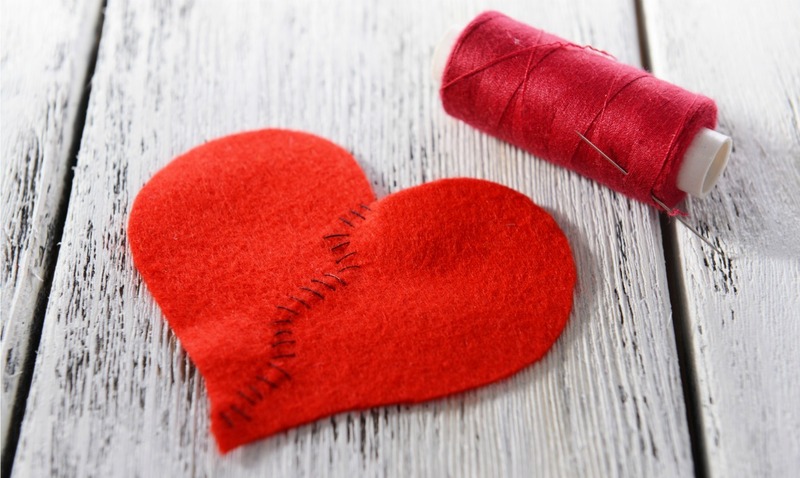 It might sound preposterous, but a broken heart has the power to not only motivate and improve our lives for a healthier well-being, but also unleash a great creativity you have never imagined. The Hudsucker was one such venture. While the idea manifested through faith thanks to our Senior Managing Editor, Katherine, the very foundations and motivations of this online magazine were built upon a broken heart. Severe and often incapacitating, the pain forced me into depression, all because this heart of mine truly loved someone — and still does. It was after my birthday I began to feel miserable, as if my life was a never-ending abyss. I was walking and living, but not feeling anything for those around me or myself. After days of crying and feeling like the poop emoji times 100, I knew what to do — I wasn’t raised to be the one who lets a broken heart and circumstances dictate how every day would go. I had to regain my independence and seek out my life without dwelling on the negativity. As a sort of catalytic effect stemming from his fickle mind, it was up to me to change my circumstances because no one would do it for me. And while I’m not sure if it was more about him or myself in that moment, I could feel my broken heart becoming fuel to my life’s engine, sparking a desire in me to prove my identity and motivate my passion. Seemingly, the end of one relationship made room for the start of another — The Hudsucker and myself. While undergoing these life changes, I learned to let go of negativity and work on relationships that were healthier and more deserving. Being at my worst allowed me to see those who genuinely cared for the formation of friendships and relationships. Having a broken heart and putting all my energy into the site provided some equilibrium to my life. It wasn’t a linear healing process and some days I still mourn the loss, but the drive from feeling such pain helped create a normalcy that allowed me to focus on my purpose. Writing has been my life for years, even way before I’ve ever loved another human being outside my family and friends. The intricacies of building an online magazine brought me pure joy as I scoped out a team, style designs, everything you could imagine that has made this site what it is today. Things started feeling calm. My headspace became clearer and mindful of what this site’s mission would be about. In many ways, I used whatever love that was left in those broken shards and decided to hold them up to the light to see what could be made out of them. I discovered with great reverence for my love that a broken heart could provide immense perspective, while opening our world up to possibilities. I began to open my heart to what was new and would excite me to no end. It became a real dream come true. I learned the ins and outs of what it means to have an online magazine with unique, substantial content. I took initiative for the betterment of my life and alter my narrative as a positive. Moreover, my broken heart allowed me to pursue passions I never imagined I could at my age, propelling me to head back to school to study journalism. As I began to focus on what The Hudsucker would mean for readers alike, I discovered my broken heart gave me the ability to blend my pain with my passion for an artistic venture that now reaches an audience of readers in over 190 countries. I was able to channel all my energy into things that were productive, helpful and allowed for discussion that was healthy and enlightening. While a broken heart can be painful, looking back at times it feels like a blessing in hindsight; a reason for living my life to its full purpose. This summer, June 16, The Hudsucker will turn 5 years old. It’s kind of crazy how fast time flies. Between interviews and research pieces, guest writers and more, we have really made this a community where readers from around the world can truly connect and gain insight into subjects that matter to you. And we can never have done it without you! As you peruse the site, follow along and share with friends and family, please join us as we celebrate year-round with content that promises to be better than ever. And as you dive into 2017, I urge you to find your “happy” and let your passions lead you to your purpose. Your heart is your own and some might say it was made to be broken, but the emotions you feel from that broken heart — don’t underestimate them. That which can break your heart is sometimes the very thing that has the power to heal it. Yes! I did something similar when I suffered a heartbreak. I focused on work and I’ve become so much better because of it. I agree with you disappointment and the drive to snap out of it often makes us tap into the dreams we have put on the shelve for so long. At first we do it for the sake of feeling better or to simply get back some shreds of our identity or simply to stop feeling as awful as we do at the time but then we realize that we are doing it because it is our purpose . For me such an incident got me into writing and into working more on my blog. Thank you for sharing this post it really hit close to home for me.